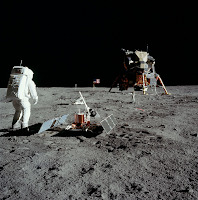 Today in 1969, Apollo XI astronauts Neil Armstrong and Edwin "Buzz" Aldrin became the first men to walk on the moon, after their lunar module separated from the command module and landed on the lunar surface at 09:18 GMT on the Sea of Tranquillity. Neil Armstrong and Edwin Aldrin establish Tranquility Base while Michael Collins remained in the Apollo craft and orbited above. When Armstrong stepped on the lunar surface he proclaimed, "That's one small step for a man, one giant leap for mankind." Back on Earth nearly 700 million television viewers witnessed the event live as it happened. It is truly one of the greatest ever feats of engineering and human endeavour and a pivotal day in the history of mankind. Also on this day, this time in 1976, America's "Viking I Lander" became the first spacecraft to land on Mars and perform its mission successfully. It landed at Chryse Planitia, and began transmitting pictures back to Earth. 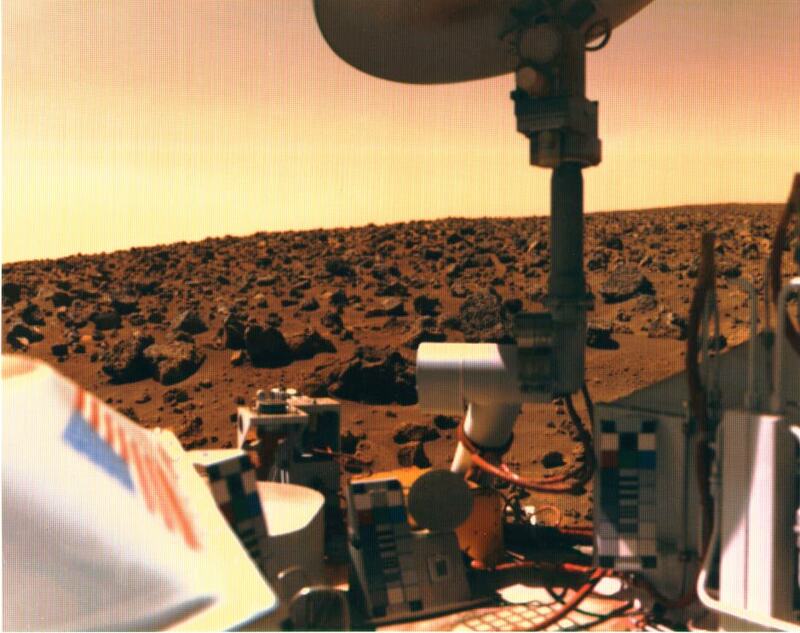 The image shows Chryse Planitia looking NW over the Viking 1 Lander. An antenna is at upper right. The wide, low plain is covered with large rocks, loose sand and dust. The image was taken on 30 August 1976, a little over a month after landing. 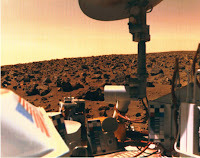 Pictures from the mission included views of the Mars surface taken from the Viking 1 Orbiter from space.